So she could never answer "YES" or "NO". If nothing else, blogging has made me more aware of the history and rich cultural heritage of Alabama. Everywhere I turn, in our biggest cities and smallest communities, and even places that are less than communities, merely cross roads, I find another example of Alabama's contribution to athletics, science, art, humanities, medicine, literature and music. The list just goes on and on. Something uniquely Alabama happens when the intense Alabama sun, the crazy Alabama moon and the smothering Alabama humidity combine with Alabama's own special mix of dirt, driving poverty, deep rooted manners, and madness. As the saying goes, "In Alabama we don't hide our crazy in a closet. We invite it onto the front porch and serve it sweet tea!" Survival skills kick into high gear and personalities are born that can exist only in the rarified air of the Yellowhammer State. Where else can you find genius and character mixed together to form the wild and wonderful talents of Tallulah Bankhead, Truman Capote, Nelle Harper Lee, Zelda Fitzgerald, Percy Sledge, Nat King Cole, Jesse Owens, and George Washington Carver? Certainly there is no Alabamian who embodies Alabama alchemy more than Hank Williams, Sr. Recently, I have been really intrigued with the story of Alabama's Hillbilly Shakespeare. Although his life was incredibly short and tragic, it was also amazingly accomplished. He died far too soon, at age 29, in the back of his powder blue Cadillac. Having grown up in rural Alabama during the dark days of the Depression with an over-powering mother and a largely absent father, Hank's life was hardly easy. Add excruciating back pain, thought to be caused from spina bifida occulta, and you realize young Hank not only wrote songs about pain and heartbreak, he lived them. Because he sang about what he knew, his songs had the ability to reach out and touch his listeners in a real and powerful way. 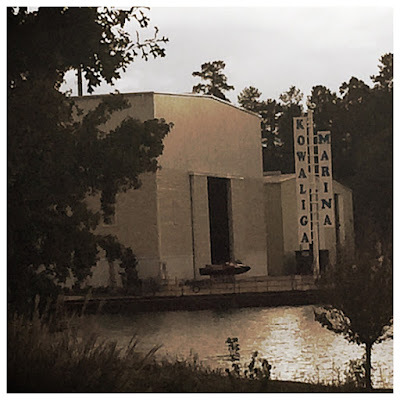 As fellow Alabamian, Rick Bragg, puts it, "He spelled things the way they sounded, as hillbillies do, and punctuated them with love, sorrow and regret." And as for the connection between Hank and his audiences, he continues, "the words poured straight out of his heart and bypassed his head...swirling from the microphone straight through their ears and down, down deep into their own hearts. Heads didn't have much to do with it. Hillbillies are funny that way." Born Hiram King Williams, in 1923, Hank scored his first hit, Move It on Over, in 1947. Between 1947 and his death on January 1, 1953, Hank managed to record 66 songs under his own name, in addition to songs recorded in collaboration with others. Of those songs, 33 hit the Billboard Charts before his death. Eight more charted posthumously. Altogether, eleven charted at number one. Additionally, his songs were covered by some of the most famous singers in the country, including Tony Bennett, who found success with Cold, Cold Heart in 1951. 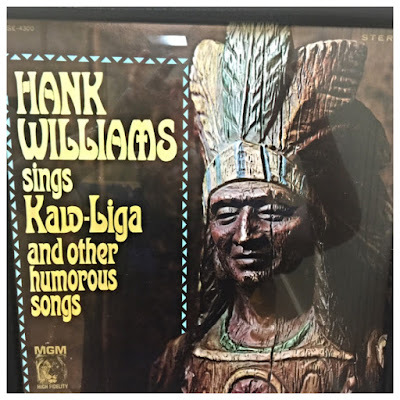 Hank's songs went where the hillbilly king could not go, finding a broader market outside the country venue. One of the most prolific songwriters ever, Hank penned more than 150 songs during his brief career. 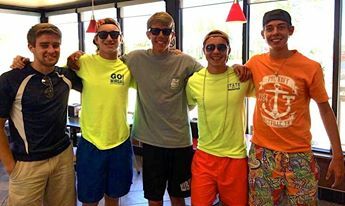 Our own personal connection to Hank and his music, was made a couple of summers ago when JD and some of his buddies met and hung out with Sam Williams, Hank's grandson, for a couple of days in Orange Beach. It was a pretty exciting trip! 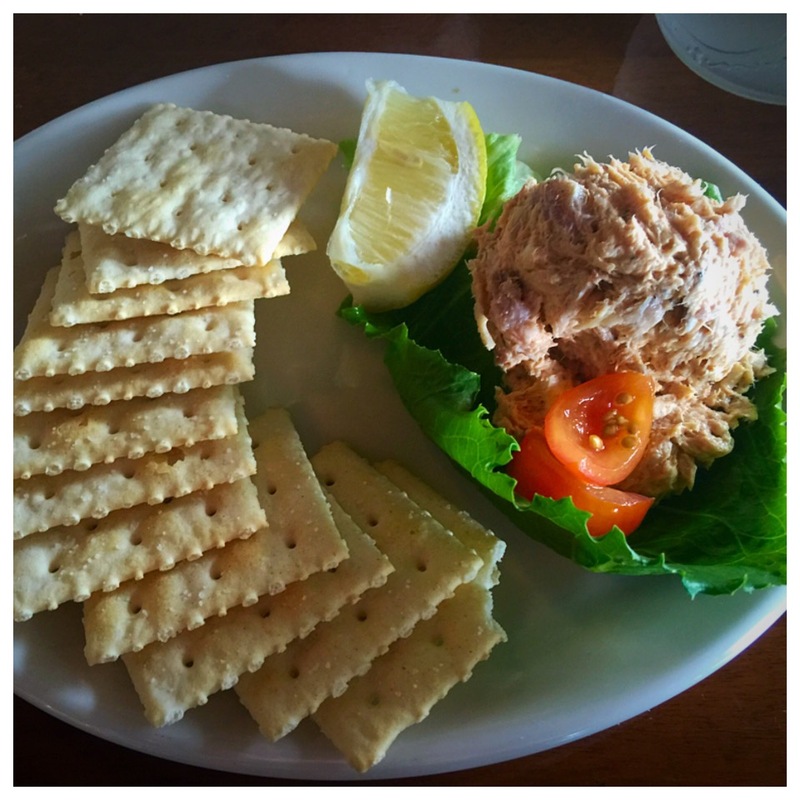 On a recent trip to Auburn, we were traveling through Alex City looking for a place to have lunch. Of course, I googled. 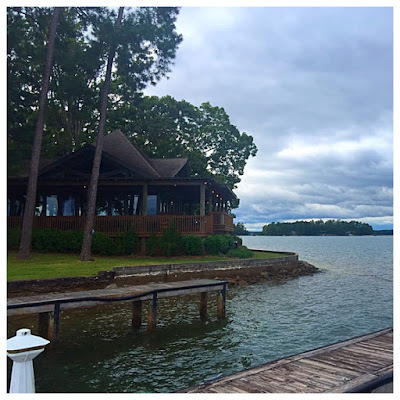 I came up with Kowaliga Restaurant on the banks of Lake Martin. 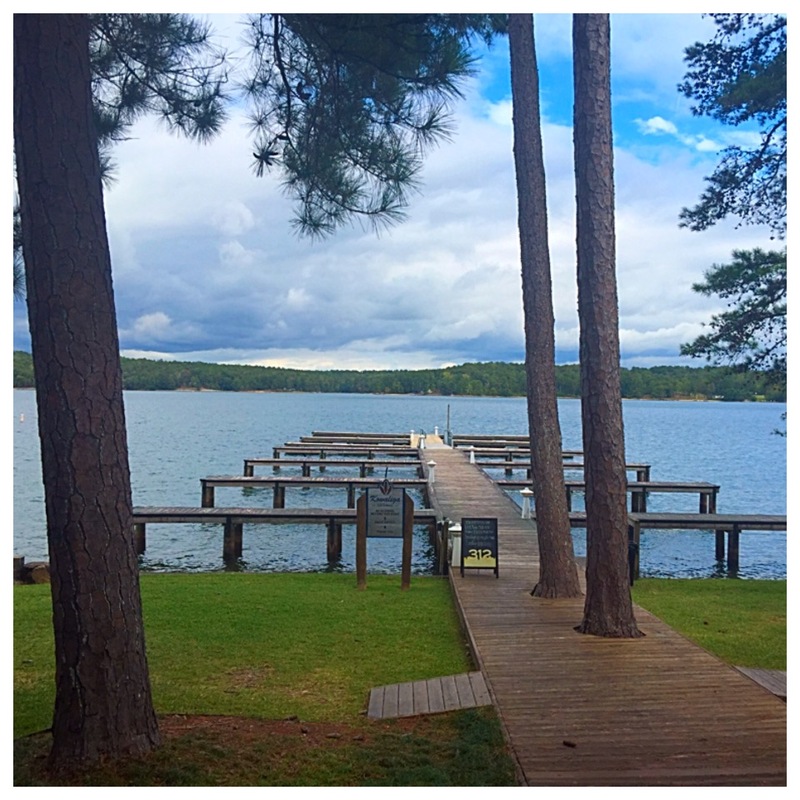 I remembered reading that Hank's song, Kaw-liga, was inspired by the times he spent fishing in the little Elmore County community. 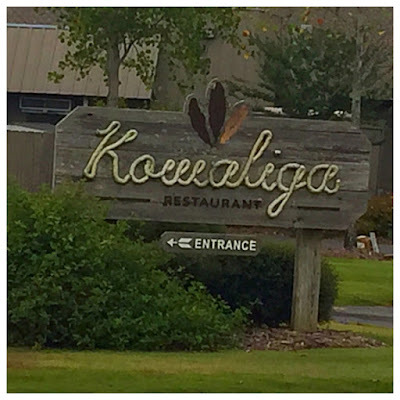 We decided to give Kowaliga Restaurant a shot for the nostalgia, if nothing else and we really weren't expecting much. 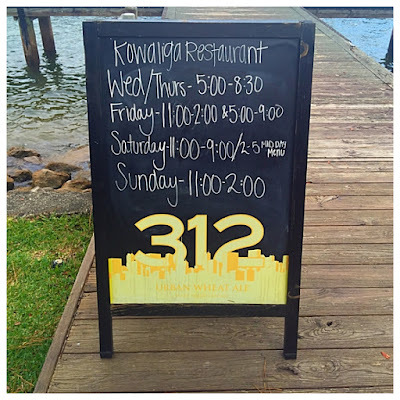 Thinking the restaurant was probably more of a dive than anything else, we set out with our expectations firmly in check. Boy were we surprised! 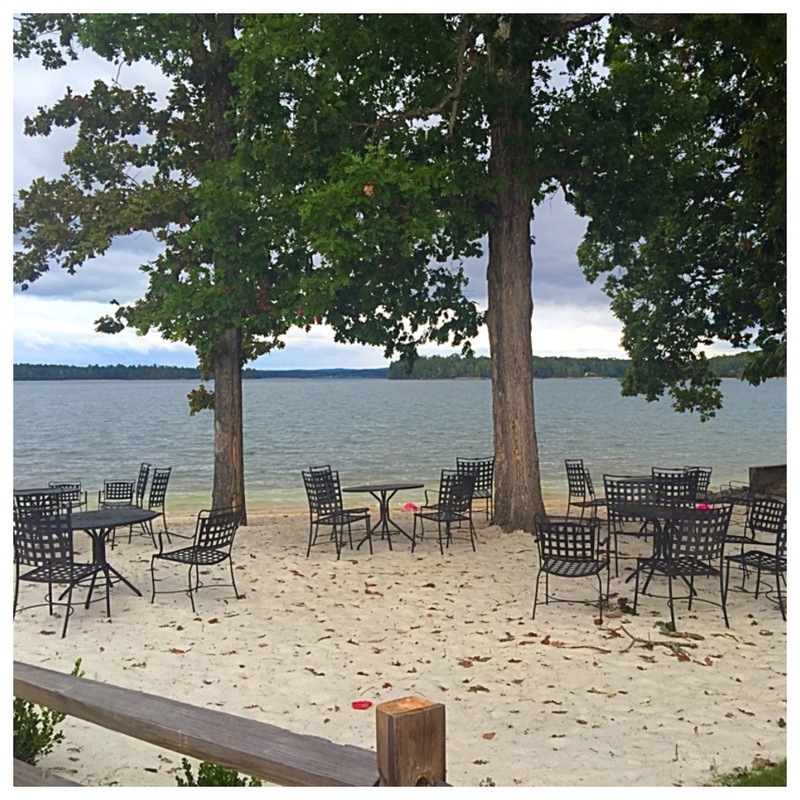 To say Kowaliga Restaurant is off the beaten path would be an understatement. However, the road to the restaurant was wide and paved and meandered through some beautiful scenery. 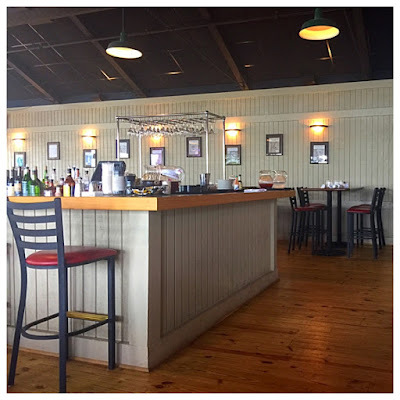 The restaurant itself sits in an area owned by Russell Lands, which is the same family that owns Russell Athletics, but it is no dive. It is more of a resort restaurant, perched in the piney woods on the shores of Lake Martin, next to the Kowaliga Marina. 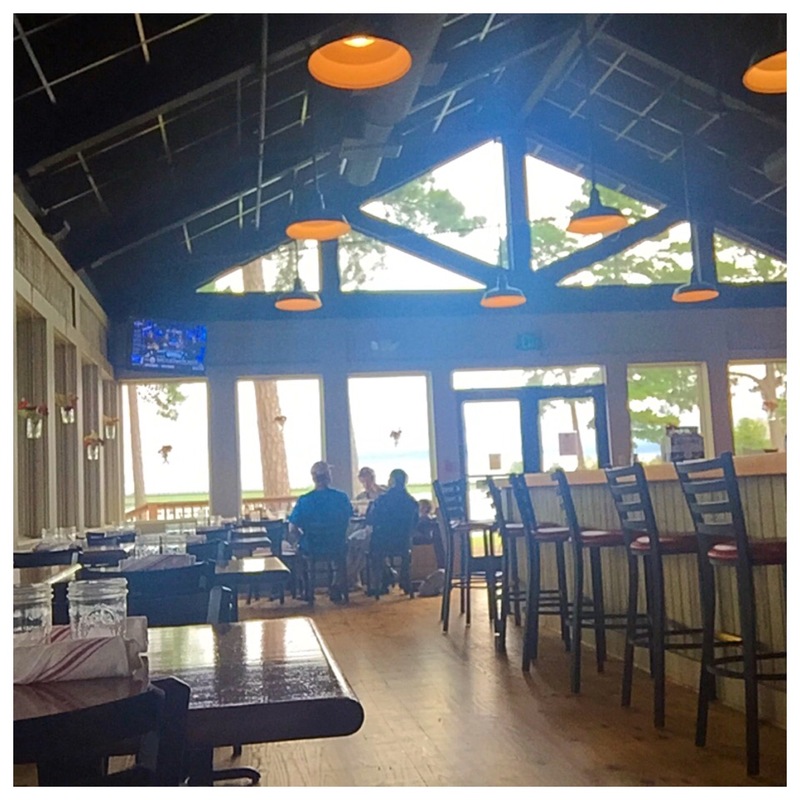 Boats can pull right up to the restaurant, which makes it a very popular dining destination. The original Kowaliga Restaurant was under construction before Hank died, in 1952, but that building burned in 1999. 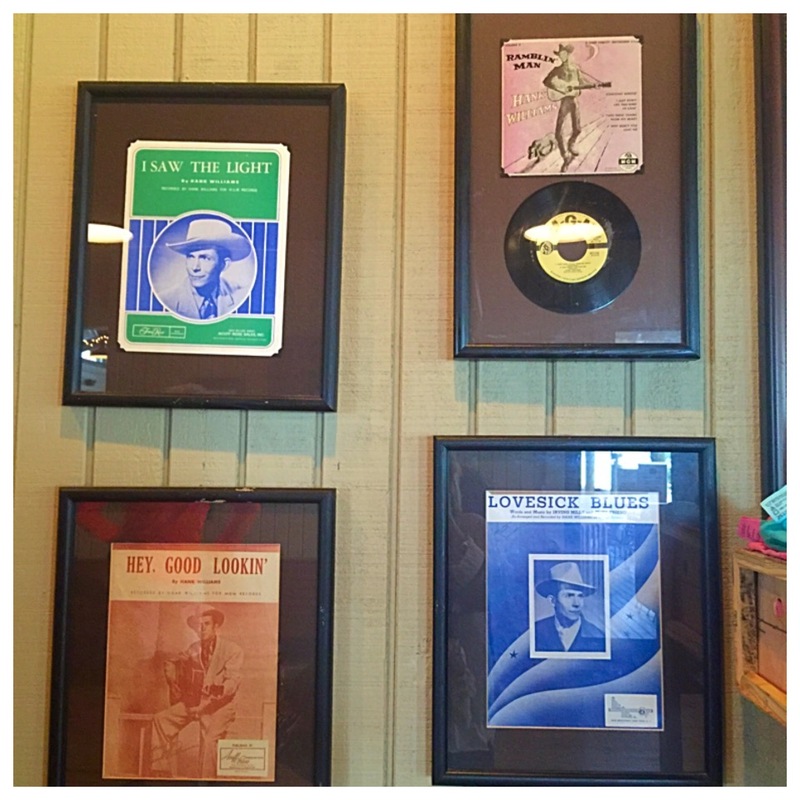 Just across the street from the restaurant sits the restored cabin where Hank composed the lyrics to Kaw-liga. 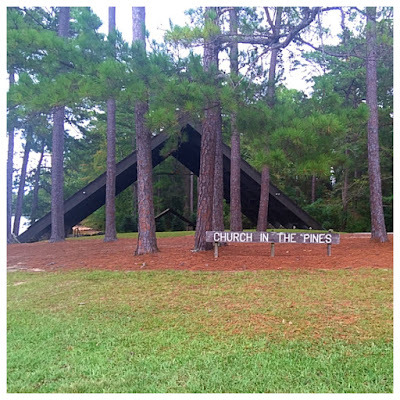 As you near the restaurant, you will pass the picturesque Church in the Pines. 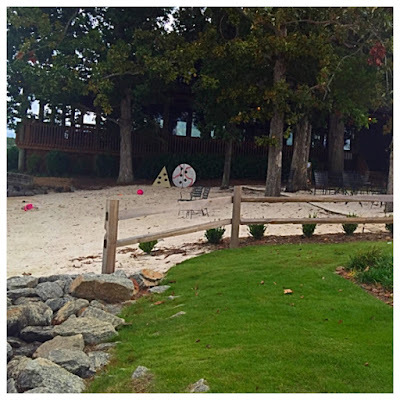 The deeply spiritual, Hank Williams, is apparently not the only one who has drawn inspiration from this lush, green and quiet setting. 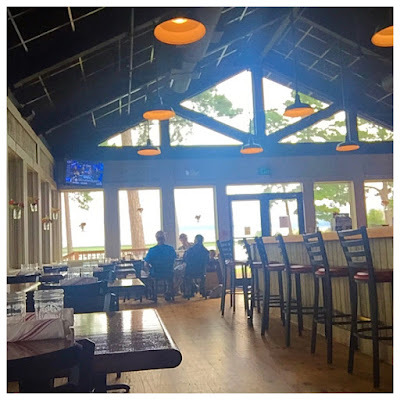 There is lots of indoor and outdoor seating and the views are magnificent. 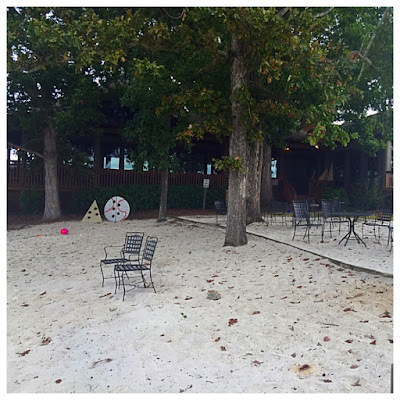 A large sandy play area is a perfect place for rowdy children and restless adults to work off some steam while they wait for their tables. This is probably very handy during the busiest times, when waits may be long. But, of course, the first thing I wanted to see was the Indian. I knew from my research when I was writing a post about ten stops to make on your way to Alabama's beaches, that the original Kaw-liga came from an Alexander City pontiac dealership, but he was stolen and never seen again.The second Kaw-liga, was also spirited away, so the third Indian was made of concrete to keep him from being so portable, but he suffered many assaults over the years from both fire and vandals. The concrete fellow was retired to the Discovery Center at Russell Crossroads and the new current version was commissioned. 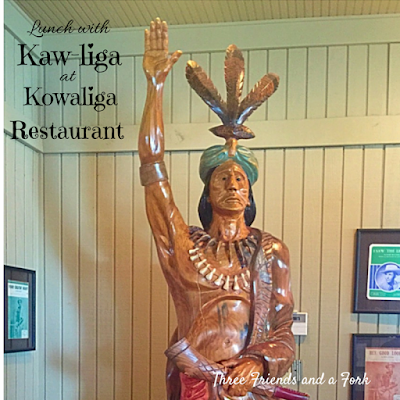 Kaw-liga IV is all knotty pine once again and he safely resides inside the restaurant. 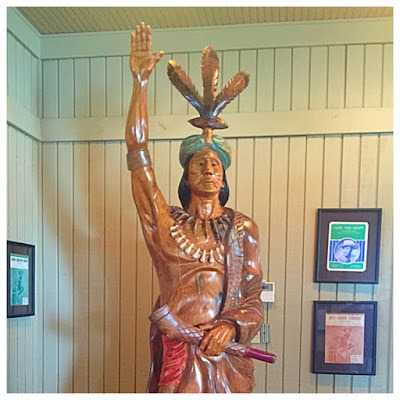 Sadly, I did not see any sign of a nearby antique store, but I guess it wouldn't have mattered anyway, since the Indian maiden with the coal black hair has long been gone. As our hostess showed us to our table near the windows overlooking beautiful Lake Martin, I noticed how bright and airy the interior was. Lots of wood and windows and the centrally located bar gave the whole place a spacious and cheerful attitude. 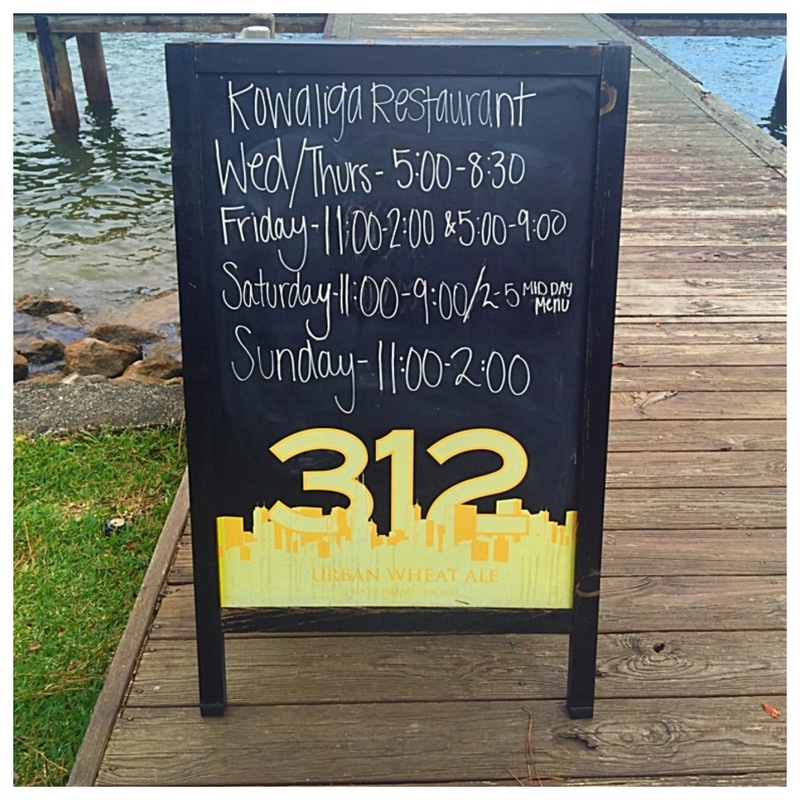 But, the devil is in the details, and what we really came here for was lunch. 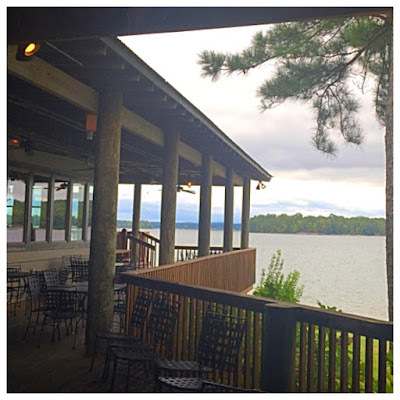 The history was interesting and the setting was incredible, but what about the food? We checked out the menu and since catfish figured prominently in everything from appetizers and salads to sandwiches and entrees, we decided to start with a smoked catfish dip. 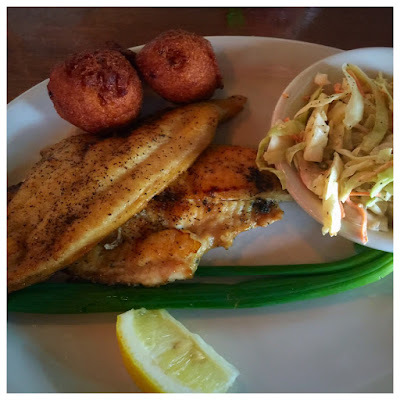 According to our server, the catfish is smoked in house. It was good, but what really put it over the top was when our server came out with a six-pack of sauces. You know how much we love sauces! Pretty soon we were trying them all along with the catfish. These house-made sauces were so good. 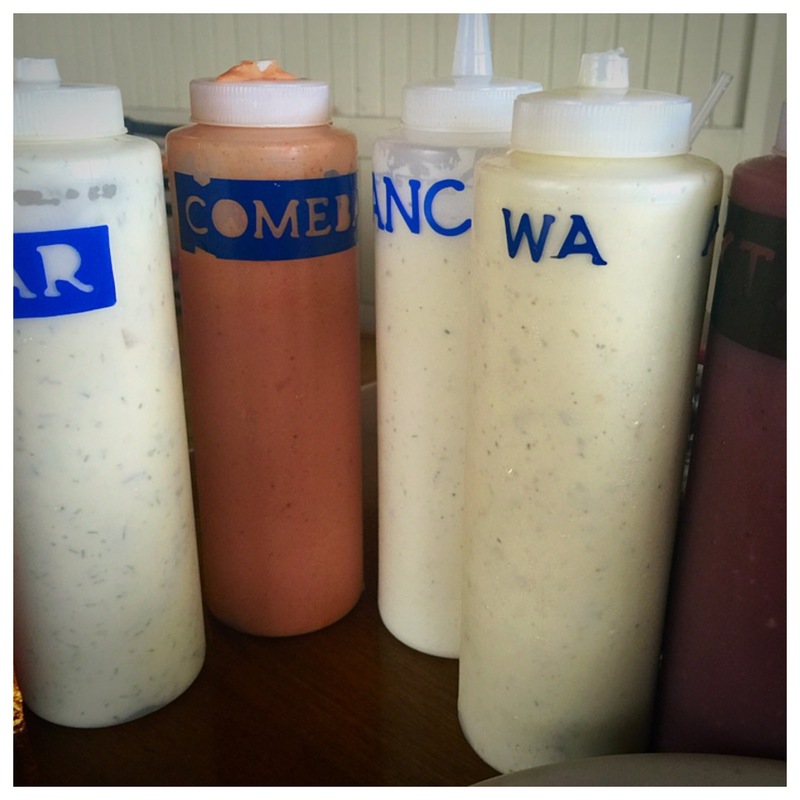 I especially liked the spicy Kowaliga sauce and the jazzy Comeback sauce. They really made the catfish pop! In addition to those two sauces, there was also ranch, tartar, catsup and cocktail. As for entrees, I decided to stick with the catfish theme and ordered grilled fillets, accompanied by slaw and hushpuppies. Everything was delicious. 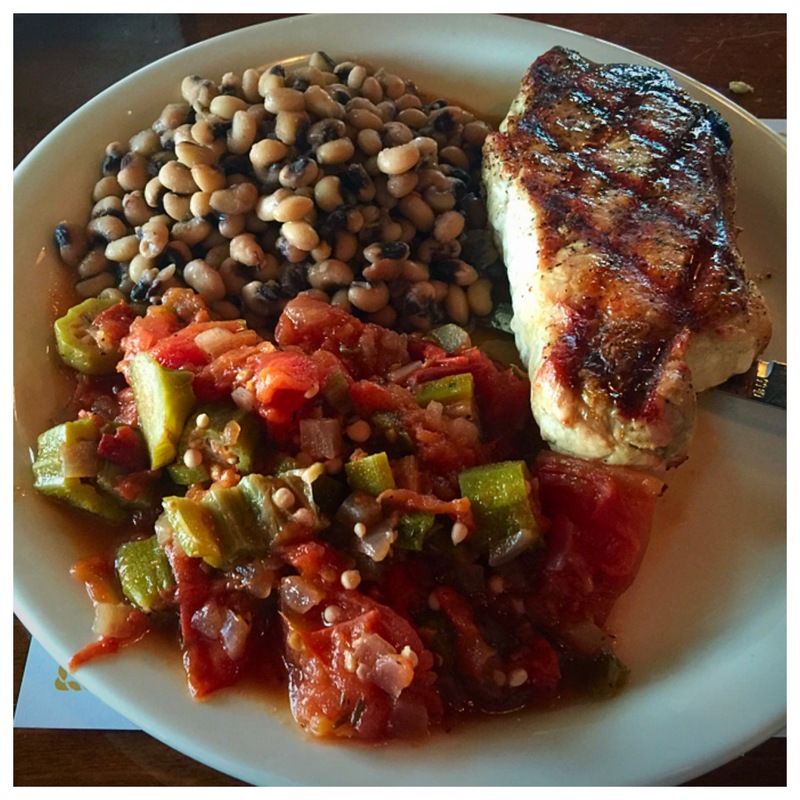 Scott chose a grilled pork chop with field peas and an okra and tomato medley. The pork chop was so thick we couldn't believe it, but it was still tender and juicy. 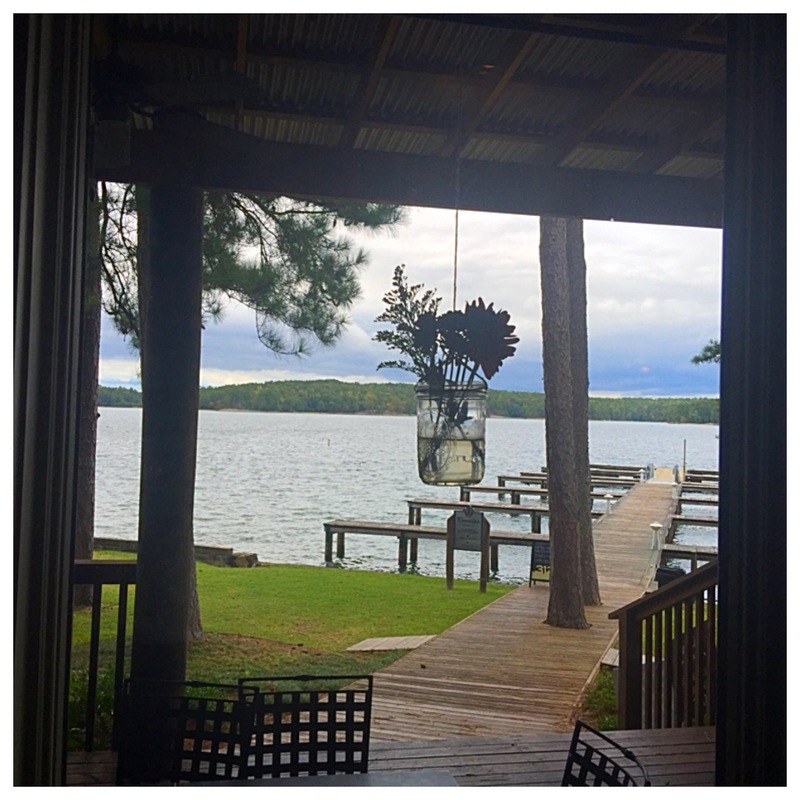 He said he needed some cornbread to go with the peas, so I gave him my hushpuppies. 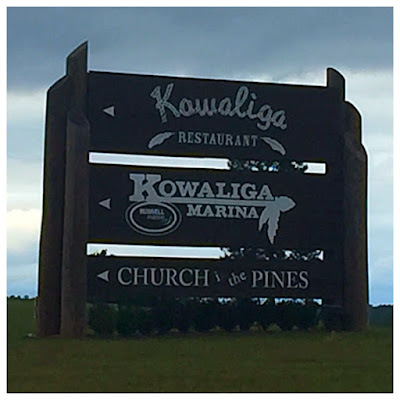 He said that really made the difference, so if you visit Kowaliga and order the pork chop, you might keep that in mind and order some hushpuppies to go with it. 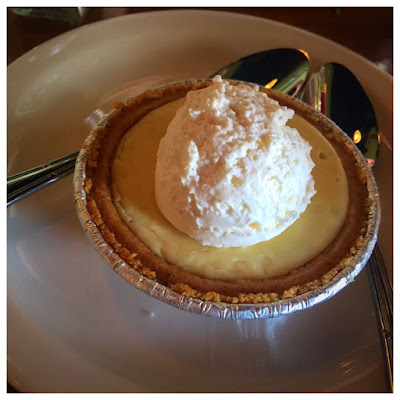 We decided to end our meal with a piece of lemon ice box pie, which was actually more of a tart. I am not sure if it was made in house, or if a dollop of fresh whipping cream was plopped down on top of a pre-made pie, but it was still good and creamy. All in all, our trip to Kowaliga Restaurant was surprising, informative and very tasty. It will definitely not be our last visit. 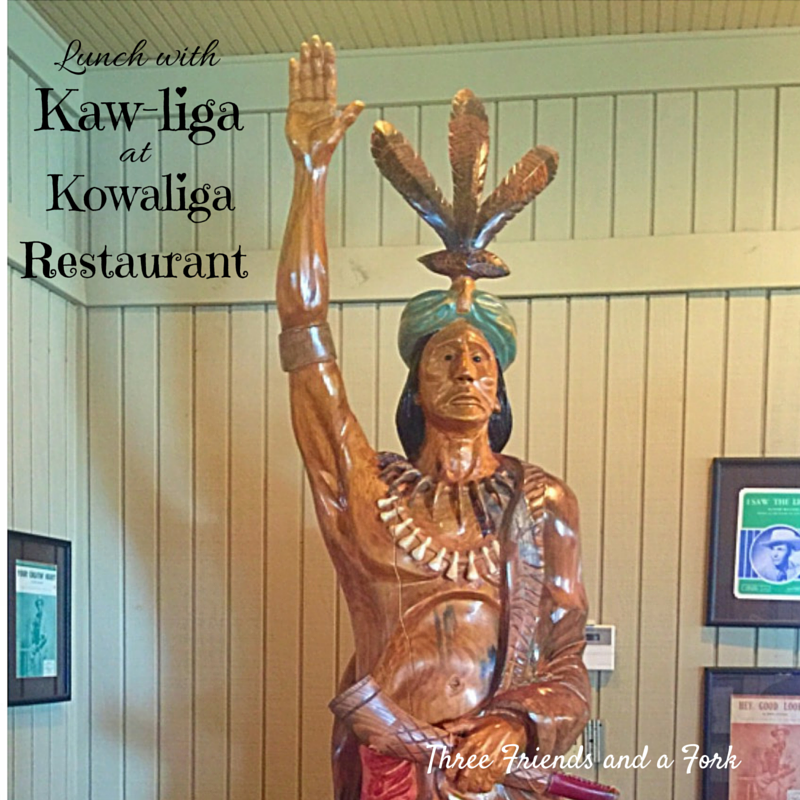 Three Friends and a Fork give Kowaliga Restaurant 3 proud Yums UP! Makes me wanna go fishin' for some catfish! Your plate looked delish! Thanks, Stephanie! It was yummy!